Andronicki Shah says she was told Raggedy Ann was an eight year old pony mare, but later found out she was ten. Serious allegations have been mounted in a lawsuit against two leading horse trainers regarding the sale of a pony. The suit filed this week alleges winning pony trainer Mindy Darst and top hunter jumper trainer Val Renihan, made fraudulent claims, through their agent, in order to sell a lesser pony for $100,000. 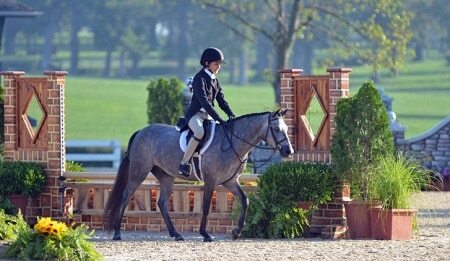 Andronicki Shah says she went to the 2011 Pony Finals in Kentucky to find a pony for her daughter. Shah’s daughter tried the eight year old roan pony mare Raggedy Ann with the help of pony trainer, Sarah Doyle. Massachusetts based Doyle was acting on behalf of the pony’s owners, Darst and Renihan. Doyle allegedly confided to Shah that she would help her since she was also the mother of a pony rider and that they’d be at the same shows together. 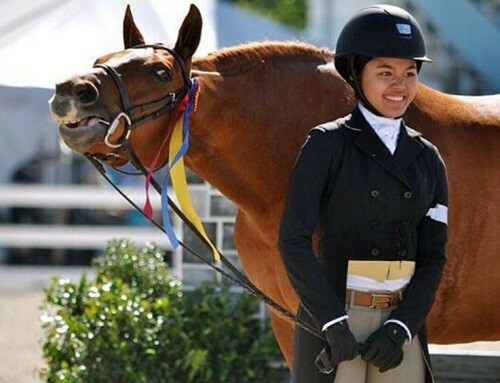 The complaint states that Shah, although an unsophisticated horse buyer, did inquire about the pony’s lead changes being questionable, but she was assured by Doyle that the pony always did her changes. The suit goes on to allege that Darst told Shah that the pony’s show record was excellent and that Raggedy Ann even beat top pony, Enchanted Forest, in Wellington, which is also claimed to be false. 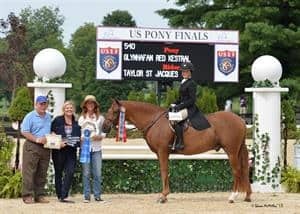 The complaint goes on to allege the mare was dyed bay to hide her roan coloring from the Winter Equestrian Festival judges, which is a violation of United States Equestrian Federation rules. Raggedy Ann showing in WEF week eight class in 2011. Raggedy Ann allegedly dyed bay at WEF week eleven show. The complaint further alleges Darst and Renihan violated Florida law by not issuing a correct bill of sale and disclosing in writing all commissions paid. 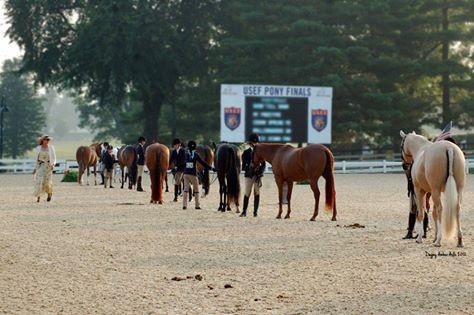 Darst was recently censured by the USEF in connection with the Pony Finals. 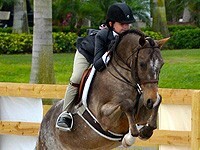 She allowed her daughter, Maddy Darst, to ride the pony, Trillville, which violated the rules. The child then competed the pony in the Pony Medal Final although the pony should have been eliminated. Darst was fined $1000. The show’s manager, Hugh Kincannon, was also fined $1000 for misapplying the rules.